If you are about to take your first ski trip, then you’re probably asking the all-important question of what to pack. Ski wear should be chosen with a lot of careful consideration, since it protects you from the elements whilst you take part in the sport. So, whether you are a beginner or an expert skier, it’s important to pick the right clothing. And, there’s no more important item than your ski jacket, which needs to keep you warm, provide the flexibility to move around, and make sure that you look great on the slopes. So, we’ve put together some top tips to help you choose the perfect ski jacket or coat. When you’re looking for snow gear, it’s always best to invest more in a good brand. Investing more into a ski jacket from a high-quality, reputable brand is always better since this way, you know that you are getting the best. Use trusted online review sites to determine which brands offer the best value for money. Many ski holidays aren’t taken during the winter, so you can expect it to be slightly warmer on the slopes. Plus, if you’re really going for it when skiing, the last thing you want is a jacket that causes you to overheat. So, a shell jacket is a really good idea; they are breathable, lightweight, and durable. If you’re buying a ski jacket in-store, then always be sure to try on potential choices first to make sure that you’ve picked the right shape. No matter how great a jacket is in terms of colour, features and quality, it’s never going to be right for you if it’s shaped wrong. For example, longer ski jackets are great for keeping you dry if you fall over, whilst fitted shell jackets will show off your silhouette better. Choosing a brightly coloured ski jacket not only makes it easy for people to notice you on the slopes, it can also mean that you are located easier in the event of an accident. And, an unusual colour can really make you look great as you ski. Options such as emerald green, mint, burnt orange, or purple all look awesome against the snow. Today, watching your carbon footprint goes much further than simply switching off electrical appliances and keeping an eye on your water use. In fact, the clothing that you buy can contribute to the effect that you have on the environment. Many ski jacket manufacturers now sell jackets that are made from recycled materials, or donate a percentage of their profits to good causes. When it comes to planning your budget for your ski jacket, it’s important to think big. 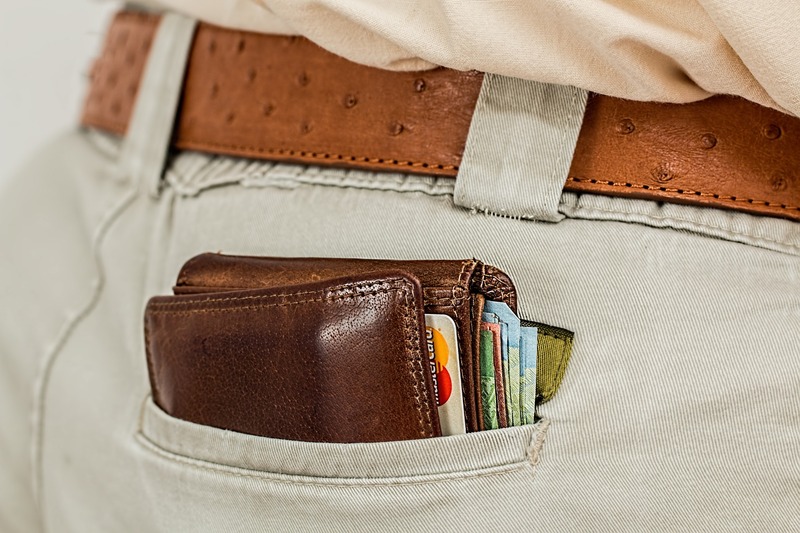 Even if it takes you a little longer to save up, don’t worry about overspending – in fact, the more you spend, the better value for money it will be in the long run since your jacket will last for much longer. Posted on 26 October 2014. 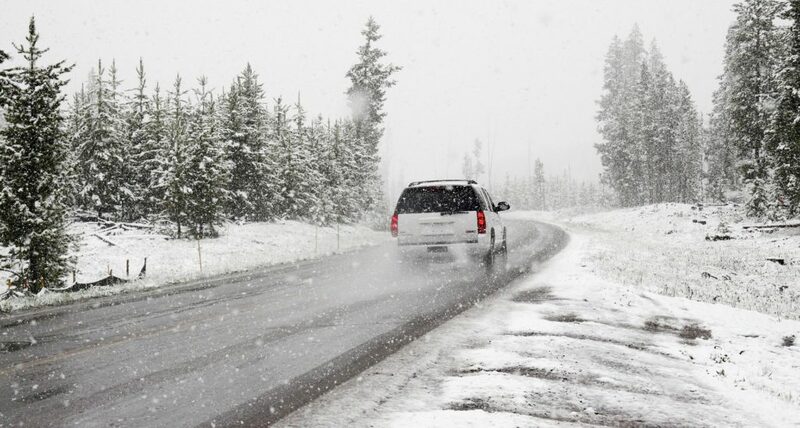 Are you planning a winter vacation? Poking around online, looking at the same old winter getaway packages? Wondering what’s the best way to have a great time with friends or loved ones, experience some excitement, and enjoy the true freedom of the great outdoors? If so, then heli skiing may be the vacation for you! Although helicopter skiing might be considered by some to be an ‘extreme’ sport, it’s definitely safe, inexpensive, and ever more popular among vacationers. In fact, it has truly changed the way people ski. As the name suggests, helicopter skiing is somewhat self-explanatory. It’s downhill skiing made accessible by a helicopter. The chopper is used to transport you to the exclusive skiing destinations and then pick you up at the bottoms of your runs. 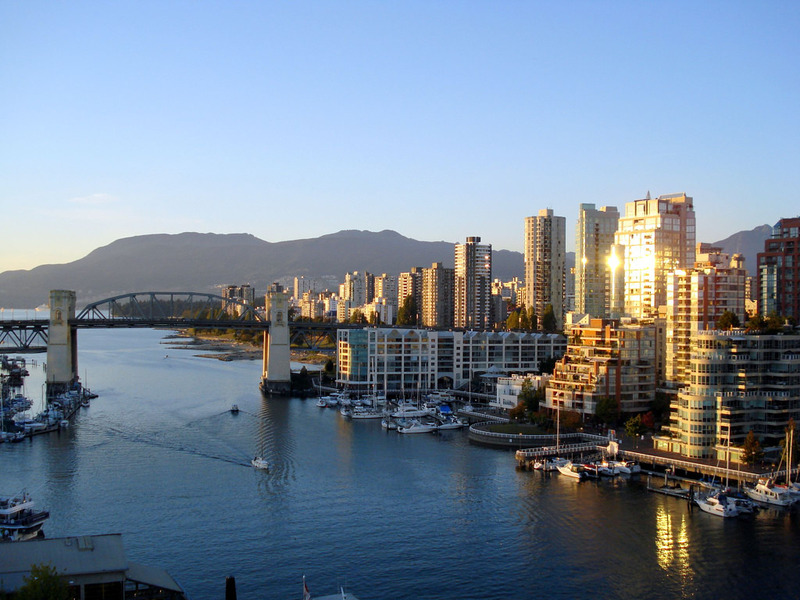 Many resorts are located on magnificent, otherwise remote or inaccessible mountain ranges where there is a heavy amount of annual snowfall, such as beautiful Revelstoke or Golden, British Columbia—truly some of the most gorgeous locations in the world. Exploring those natural, uncharted environments makes the heli-skiing experience all the more amazing, as you are truly free from any long line-ups, noisy crowds, or predetermined restrictions. The natural topography, trees, glistening snow, blue skies and rapid contours make the experience a stunning revelation. Because heli skiing is off-trail, you can literally carve your own path through the powder. A few feet of light snow overnight is all it takes to cover all traces of other skiers who’ve come before you, allowing you to explore and carve your own way. Snowboarding or skiing on two feet of powder will make skiing on the packed snow of traditional ‘hills’ all the more unappealing. Powder Guides Backcountry Skiing & Heli-Skiing is not only a wild adventure, but it’s a fantastic sport that few people will ever experience, or even consider. Once the helicopter takes off, you’ll find yourself in the middle of nowhere, on a virgin peak where the snow conditions are ideal. Heli skiing allows you to be transported to the best ski conditions in the world. It’s a skier’s dream. You won’t be following in someone’s tracks, so each turn you make will be in new snow. The sport can accommodate small groups of people (perfect for friends and family), and each run will be accompanied by a trained and trusted guide. No chairlift shuttling skiers up the mountain (and no snow-plowing kids slowing you down) means it’s just you, your friends, and the mountain. An incredible heli skiing adventure in BC will provide you with all necessary safety equipment, warm and cozy lodges for delicious meals and comforting drinks, and competitive prices. If you need any assistance with choosing the best run or the right equipment, help is always available. So this winter, instead of thumbing through the same old ads, or driving to your nearest bunny hill, consider heli skiing! It’s more than a vacation—it’s an adventure! Taking your family on a holiday is the most beautiful thing you can experience. Spending time with the loved ones will definitely bring joy and a bright smile on your lips. The winter season is the perfect opportunity to choose a ski resort travel destination. Whether you are a master of ski or haven’t even tried on the ski equipment there is no reason to say no to this. On every ski trail there is an instructor that will teach you the basics. If you want to take your lovely family on a ski run then maybe you should consider Méribel as an option. This place has its own special thing and is a great challenging mountain for most beginners and intermediate skiers looking for some recreational outdoor activities. 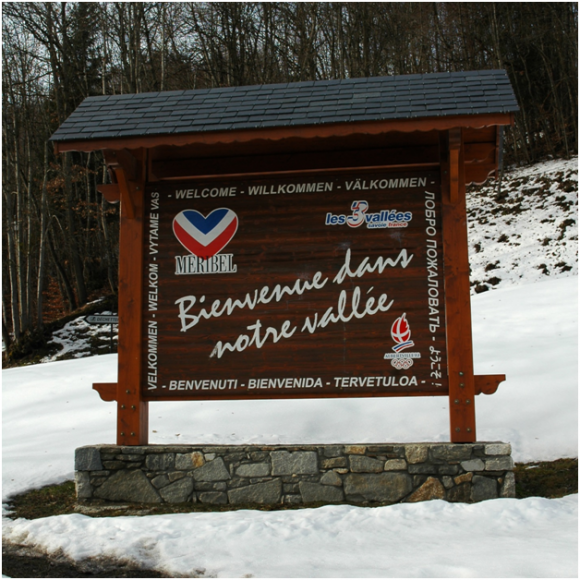 It is considered to be one of the most attractive ski resorts in France. There is something to do for everyone in this beautiful region, especially when it comes to the best ski run in Méribel. Maybe someone in your family is not a really ski junkie. No problem, you will find fantastic places in Méribel where you can enjoy some leisure moments or relax after many hours spent skiing. Look for bars and restaurants that vary from Michelin Starred to the simple ones where you can delight yourself and your family with a great traditional Savoyard cuisine. For non-skiers there are plenty of non-skiing diversions. Take a scenic walk around Méribel and Mottaret and explore the mountain restaurants that can be accessed from the gondolas. 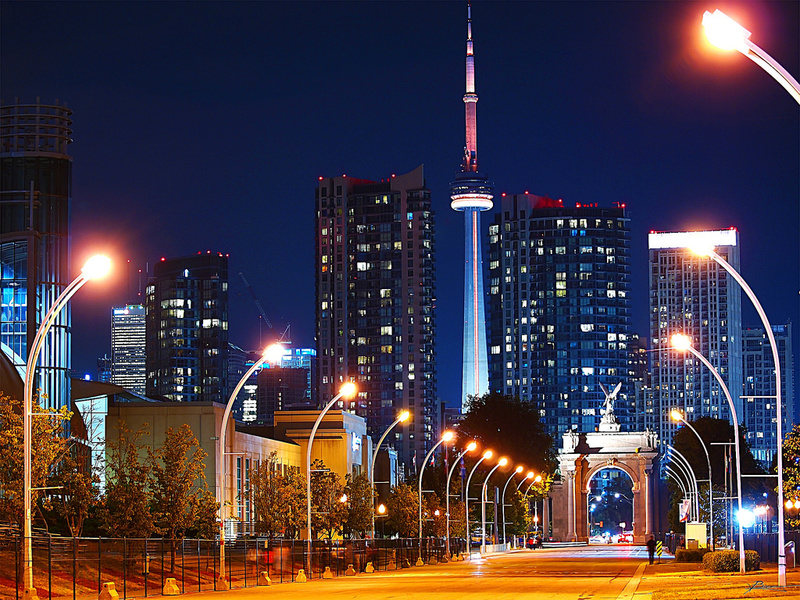 If you are into sightseeing, you can book sightseeing flights from the Altiport. Other major attractions are the Olympic Ice Rink, a large bowling alley, modern fitness centre, snow-mobiles renting option and shops of every kind. And if none of this seems appealing for you let your family enjoy them while you simply unwind in your chalet with a good book or watching a nice video. At night, take a round and discover the taverns from the centre of Méribel like Le Pub, Jack’s or Le Poste. For beginners, Méribel Altiport area is perfect place for learning how to ski. 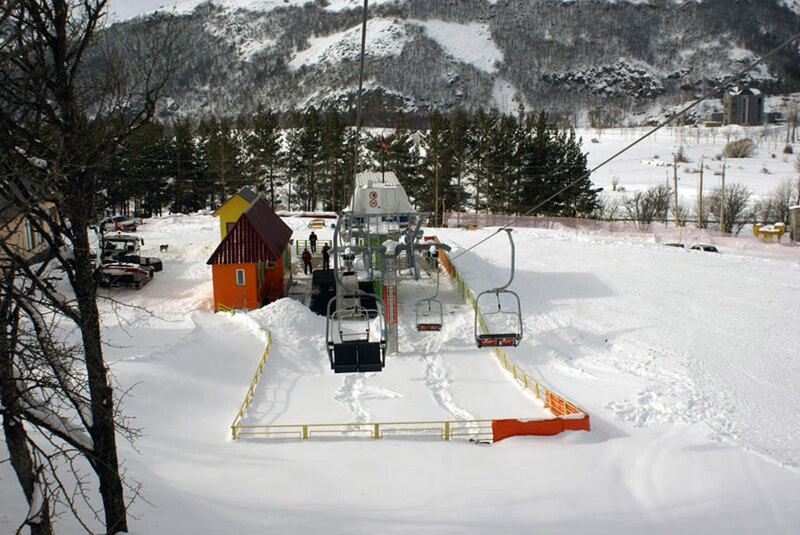 Mottaret also has a small protected tow lift for those ski novices. 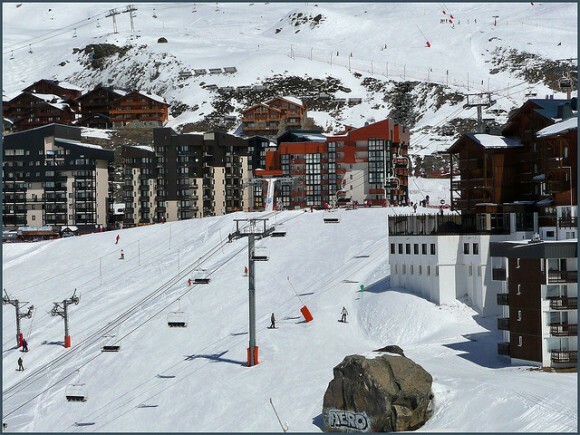 As for intermediates, skiing in Méribel and the 3 Valleys is the most exquisite spot. Take a 3-valley pass and go exploring the wonderful ski runs. Advanced skiers are not forgotten. For you there are several excellent places in Courchevel and Mont Vallon where you will find and challenging ski trails with guaranteed snow. Many people spend Christmas at home, with their loved ones in a more traditional environment. However, during the past few decades Christmas travelling has become more and more popular among people all over the world. Usually, people who live in Northern countries choose destinations such as the Caribbean Islands for a more exotic and sunny Christmas Holiday. Yet, most people would rather keep the tradition of a white Christmas and choose a skiing holiday. From France, Austria, Finland to Switzerland, Europe is filled with amazing countries perfect for those with an addiction to skiing. In fact, a lot of Americans are fans of the European peaks when it comes to the winter sports. Kitzbühel is the mecca of Austrian ski slopes. Advance skiers come here for the famous and most dangerous downhill trail in the world known as Streif. 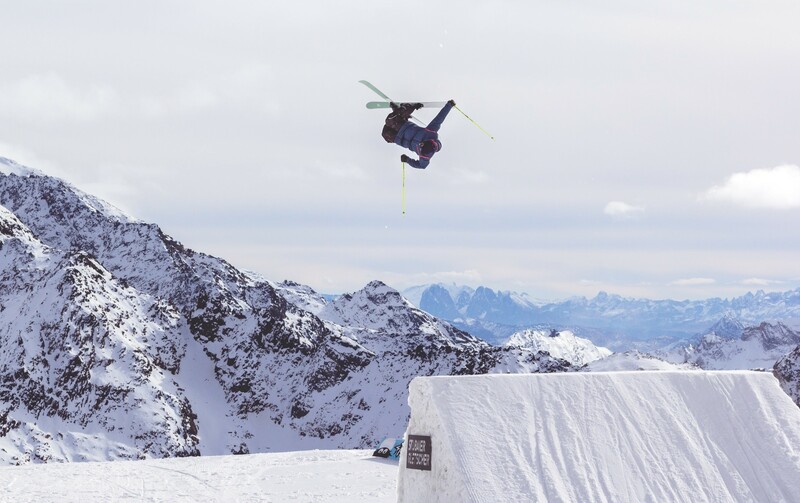 However, unprofessional skiers have the opportunity to exercise their skills on 54 lifts and 60 groomed trails on a 170km area of amazing slopes. With 300 km of slopes and a village surrounded by 5 mountains, Davos is a legendary resort located in Switzerland. Apart from skiing, the fans of winter sports can come to these great slopes to do snowboarding, tobogganing, skating and hockey. 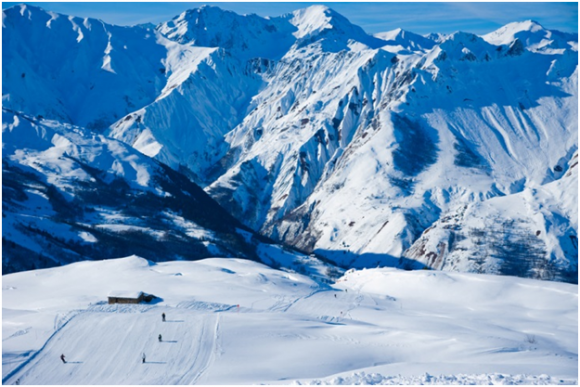 Part of the France’s Trois Vallée, the largest ski linked area in the world, Courchevel is an outstanding winter resort perfect for beginners that have the opportunity to better learn how to ski in a themed area. Courchevel has 10 slope-side remarkable restaurants, 600 km of trim trails and 66 km of cross-country trails. Not to mentions that the whole Trois Vallée consists of over 1,300 acres or terrain. Switzerland’s Verbier is one of the most famous ski destinations among the travelers who seek to enjoy the nightlife as well. It is advisable to hire a guide if you are planning an adventurous skiing trip in areas like Bec des Rosses, an off-piste zone for professional skiers only. Make sure you save some energy for the night as well, because, apart from the wild slopes, the classy hotels, and the first-class restaurants, Verbier has to offer a wide range of lively night clubs and animated pubs as well. Also known as Ibiza on Ice, Pas de la Casa is a mountainous region located in Andorra. In the heart of the Pyrenees, Pas de la Casa is the oldest ski region in Andorra, extremely famous for its incredible slopes. Offering 100 km of trails and 31 lifts, this amazing resort is linked with another region called El Tatar, popular for its off-piste slopes. 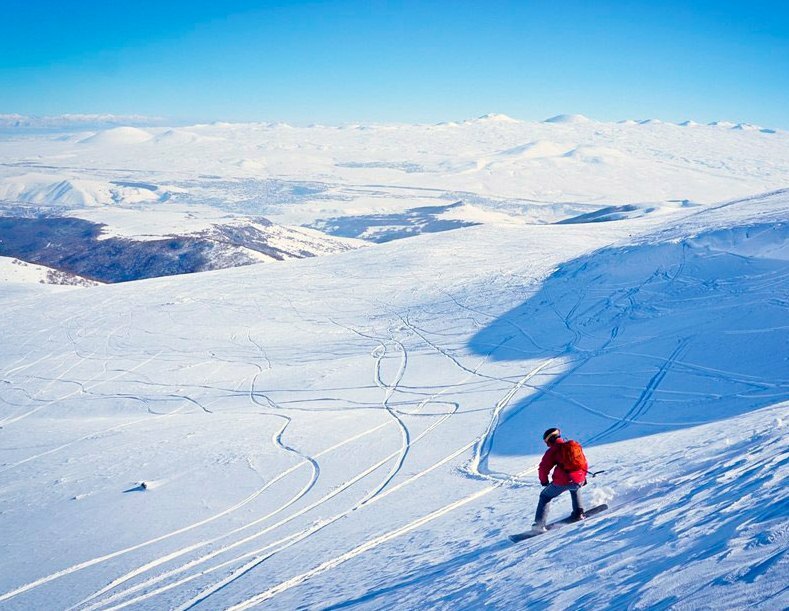 Travelers who visit this great area will be impressed by the numerous slope activities available in both Pas de la Casa and El Tatar. No matter which ski destination you choose, make sure you hire a guide before going to any of the off-piste slopes, even if you are a professional skier, as it can be pretty dangerous. For more information click here. 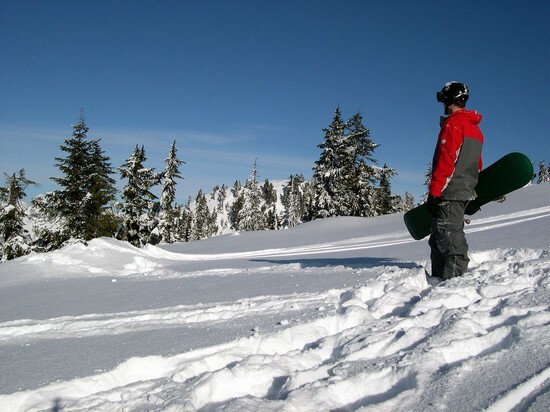 Snowboarding and skiing are two popular winter pastimes across all age groups and skill levels. 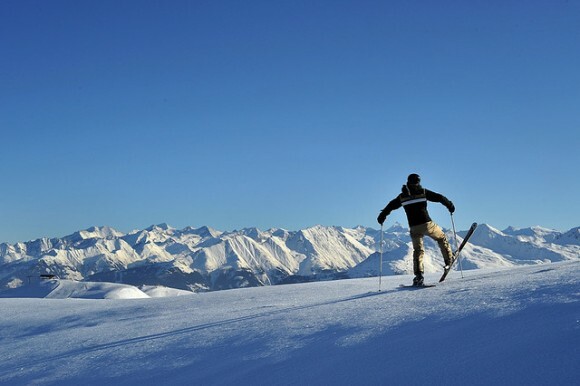 Skiing has been a popular winter spot from time immemorial whereas snowboarding became a popular in the 1970s. Both snowboarding and skiing involve traveling across snow in high speed. The basic difference between these two activities is the technique adopted and the equipment in use. A snowboarder navigates the snow by standing sideways using a single, wide board. A skier navigates the snow facing forward, using one or two narrow skis. A basic difference between snowboarding vs. skiing is the equipment used. Snowboarders use a single, wide board, which is similar to a surfboard or a large skateboard. In addition, the snowboarder also wears boots attachable to the board using bindings. The bindings ensure that the toes face one side of the board, either left or right, depending on the snowboarder’s preference. The skier uses a ski for each foot, and in addition, uses ski poles for balance, to turn and to propel. The ski pole comes with a grip on one end and a pointed tip at the other end. It also features a strap that fixes the pole to the user’s hand or wrist firmly. The skier also uses bindings to attach the boots to the skis, with one binding per ski. Both skiers and snowboarding wear specialized outdoor pants. The design and style of ski pants vary from the design and style of snowboarding pants, both serve the same purpose of comfort, preserving warmth, preventing water absorption, and protecting the skin from wind. For more information about the kinds of equipment you might need try MadDogSki-a resource for those considering going snowboarding. 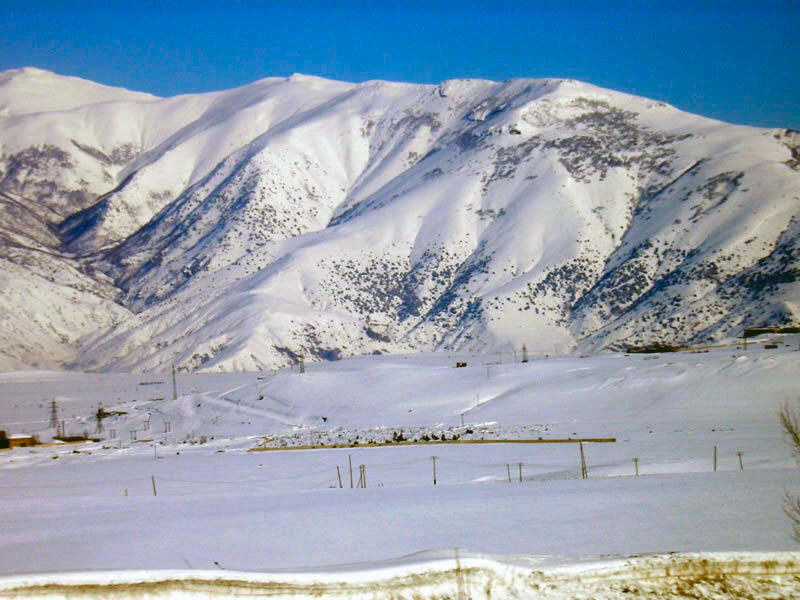 Skiing is possible on almost all terrains, including mountain slopes, undulating hillsides and flats. The poles allow the skiers to propel forward or navigate wooded terrain. Snowboarding, on the other hand, requires a flat descending surface. Similarly, snowboards require powder and crud surface to excel whereas skiers perform well even in bumpy and ice surfaces. Snowboarding and skiing are popular winter pastimes, but both require considerable skill to master and attract their fair share of dangers. Comparing snowboarding vs. skiing, snowboarding is more difficult to learn and usually take longer time to master. Snowboarding also require considerably better athletic skills compared to skiing. Snowboarding is more taxing as well as snowboarders need to sit or exert energy constantly to remain on edge while stationary. In skiing, the poles help remain upright and standing when stationery. Snowboarding however is easier on the knees. Snowboarding is riskier than skiing, for balancing on a single board, without poles, is more challenging. Two separate skis and the poles give the skiers greater balance and control, allowing them to turn or navigate away from dangers such as rock or trees, or stop more quickly and easily. Both snowboarders and skiers are prone to injuries. The biggest risk in snowboarding is wrist injury whereas the biggest risk in skiing is knee injury. Both these sports have their share of fatal injuries owing to accidents, and in this regard, both are equally dangerous or safe. While skiers have more control, the control makes them move faster, thereby make them more accident-prone. New Zealand is a land of dramatic landscapes, lush green meadows, and steep rocky cliffs. It’s an unbeatable tourist destination, where you can start your day off skiing in the ice valleys and finish it relaxing on the sun-soaked beach. No wonder that New Zealand regularly ranks in the top positions of world’s best countries list. Are you lucky enough to be heading there for your next vacation? Or are you just looking for reasons to include it in your bucket list? If you want to get the most out of it and your time (or budget) is too limited to see it all, opt for a South Island tour of New Zealand. The larger and less populous of the country’s two major islands invites you to become filled with wonder at the world’s most spectacular sceneries. Read on and taste at least five of them! Less than 400 kilometers north from Christchurch lies the beautiful region of Marlborough. 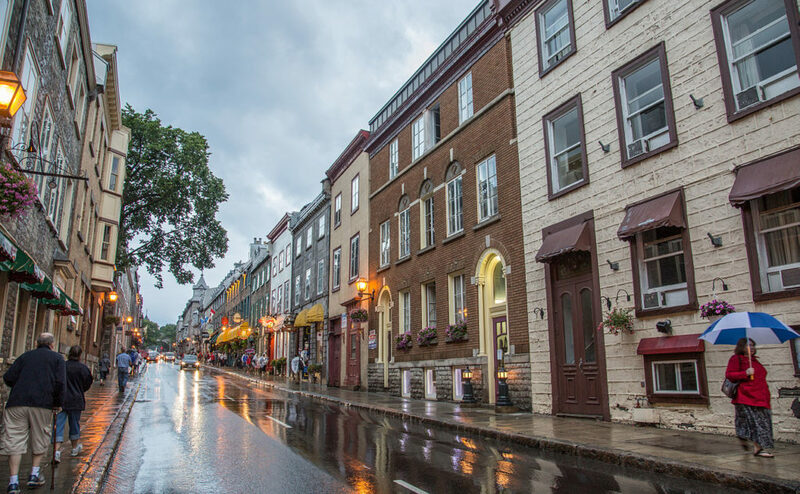 Known for its world-class wineries, this place mainly attracts those who seek leisurely spent holidays at a slower, more relaxing pace. While sipping from their glasses of delicious wine, visitors can marvel at the unique beauty of Marlborough’s famous Sounds – 1500 kilometers of waterways created when the Pacific Ocean filled the dried valleys of New Zealand’s ancient rivers. Enjoy clear seas and sandy bays from the deck of a boat, or stretch your body kayaking in this scenic environment. You can even take a hike through the wild forests surrounding the picturesque coastline. Just a short drive away from Queensland lies one of the world’s most popular hiking trails – and definitely the finest one in the country. Milford track is a 53,5 kilometers long walk through the magnificent valleys used firstly by Maori people for the gathering and transportation of precious stones. 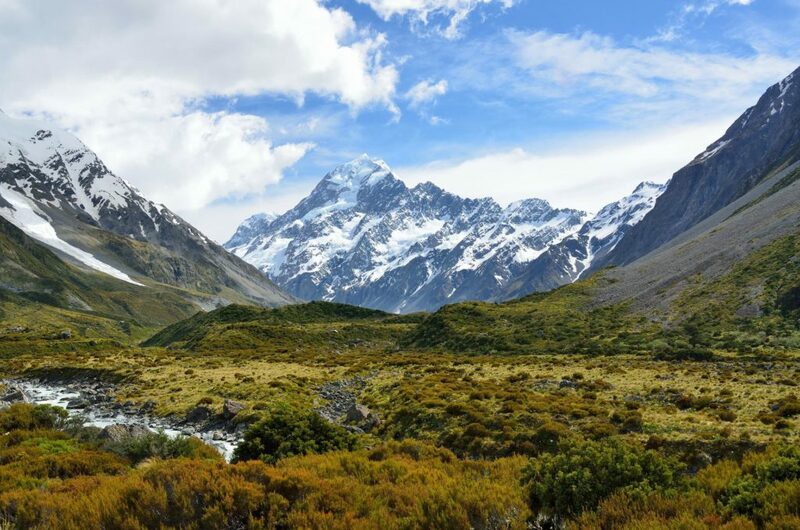 The trek can be completed in 4 days will take you along some of the country’s top sites like the second biggest lake called Te Anau, second highest waterfall called Sutherland, and of course Milford Sound with its indescribable views. No wonder this track has approximately 14000 visitors each year! But don’t worry about the crowds as the park allows only 90 trekkers a day to enter it, leaving plenty of space for an undisturbed and tranquil experience. Originally serving as an important railroad, this track now invites keen cyclists to explore New Zealand’s South Island from the saddle of their bikes. This scenic trail will take you five days and you will be introduced to the rich history of Zealand’s gold mining. Admire unique landscapes during the day, and then chill in the country pubs at the evening. Forget about civilization and enjoy the adventure in some of the most remote parts of the island’s inland. The trail itself is the biggest non-farming source of income in this area, which probably speaks for its unspoiled character more than anything else! No trip to New Zealand would be complete without taking some time off at local magnificent beaches. The best ones on the larger of island can be found in the Abel Tasman National Park near its northern tip. They can accommodate literally any taste! Surfing, kayaking, swimming, and all kinds of water activities can be enjoyed here to the fullest. Spend a night under the stars in Anchorage campsite, or choose one of more sophisticated lodges. And don’t forget to walk to the nearby Cleopatra’s Pool – wonderful natural rocks pool fed by the stream with unusual yellowish waters. Tired of sunbathing? Head to the Westland Tai Poutini National Park on South Island’s West coast to enjoy a completely different environment. Yes, it’s going to be cold, white, and slippery, so bring over your skis and jackets! Franz Josef Glacier will help you understand the great power of moving masses of snow that have formed most of New Zealand’s natural beauty. Sadly, it will also give you an opportunity to see the impact of global warming at its worst, as the glacier has rapidly retreated in the past decade. Another good reason not to postpone your South Island tour of New Zealand any more!